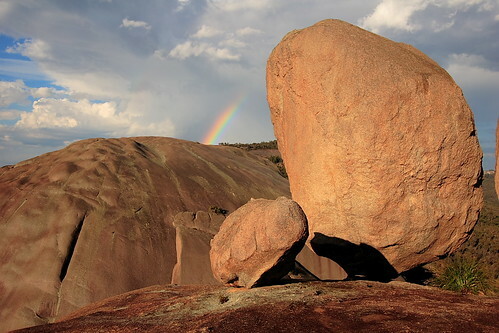 Girraween NP is home to an array of massive Granite outcrops, precariously balanced boulders, clear streams and tumbling cascades. The landscape is rolling woodland scattered with grey granite. The Rocks are everywhere…to walk here is to wander the maze of sculptured stone polished by time. 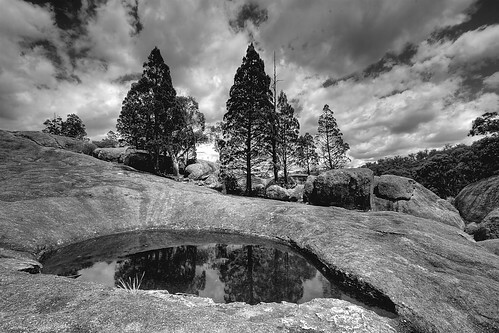 Girraween is an Aboriginal word meaning “place of flowers”. Wildflower displays begin in July. September and October are the most spectacular months with magnificent displays. When you finally reach the summit of “The Pyramid” (Girraween) you will be rewarded with magnificent views and the Balancing rock. You need a good level of fitness to climb this rock….after some 440 stairs you need to climb a steep exposed rock face. Do NOT attempt this in wet conditions! At the underground creek, Bald Rock Creek disappears beneath boulders that fell from an overhanging cliff. It’s a most bizzare landscape. A wide angle lens is great for capturing the landscapes. A polarizing filter is almost essential. Without one, skies will be washed out. 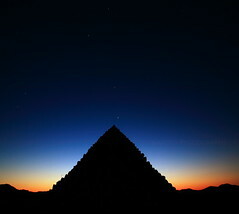 Remember, our sun is harsh soon after sunset. Be very careful in rainy and windy conditions; granite rocks become extremely slippery when wet. Decomposed granite can also be slippery. Stay well back from edges of rock faces. 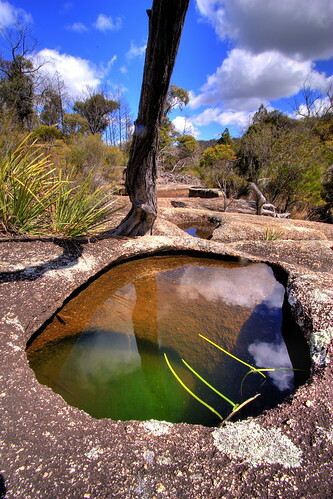 Girraween National Park has more in common with cooler southern climates than with the Sunshine State QLD. Crisp winter weather provides skies of blue and picturesque morning frosts. Be prepared for cold changes any time. Girraween National Park is pleasantly cool most of the year round. Winters are usually dry and cold with frosty nights reaching an average minimum of -4 degrees Celsius. Summers days are a warm 25-30 degrees Celsius with cooler nights averaging 15-18 degrees Celsius. Most rain falls between November and March with an average rainfall of 850mm per year. 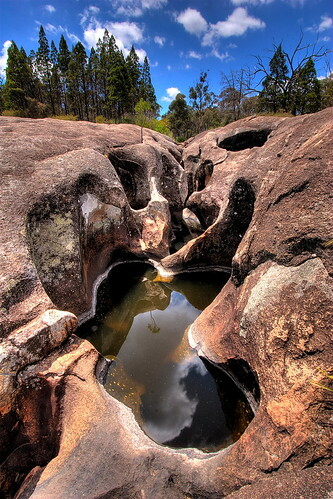 Girraween is situated approximately 260km by road south-west of Brisbane. To reach the park, turn off the New England Highway 26km south of Stanthorpe or 11km north of Wallangarra. The winding bitumen road continues a further 9km east through the Wyberba Valley to the park information centre. Thanks — Thanks for the great guide you’ve highlighted an interesting area to visit.